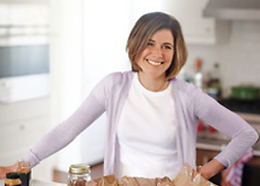 It’s September, which means it’s time for another recipe from Leah Koenig, my go-to source for the Jewish holidays and beyond. (Remember her fattoush? I make that throughout tomato season.) 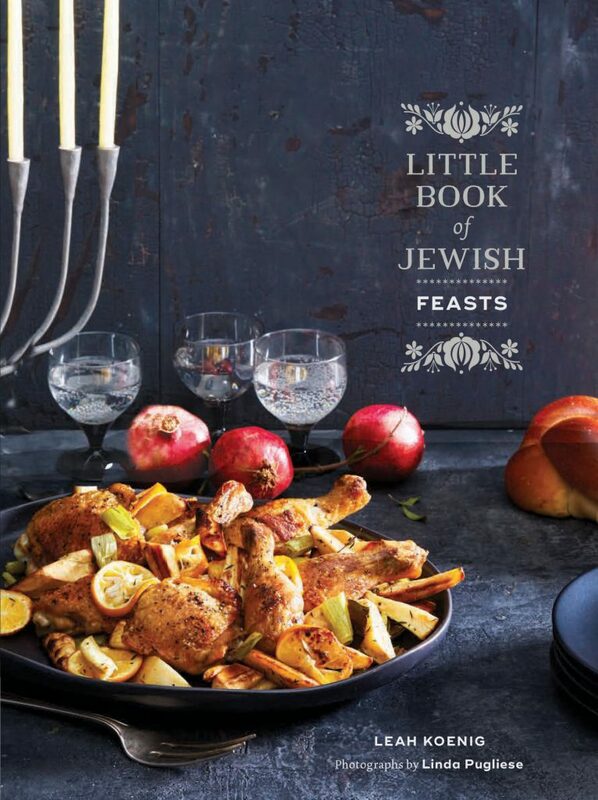 I’m pleased to let you know that this year, Leah herself is making a cameo on DALS, talking about a favorite topic of mine (family traditions) along with what is soon to be a favorite recipe of mine (moussaka) from her brand new book Little Book of Jewish Feasts. Note: It’s beautiful and gift-worthy for those of you are looking for a good host gift. Take it away, Leah! Changing up holiday meals can be surprisingly contentious. On Rosh Hashanah growing up, my mom’s menu of raisin-dotted challah, chicken soup, braised brisket, and either sweet roasted carrots or tzimmes (a root vegetable and dried fruit stew) rarely varied. For most of the year, she would experiment with new recipes from cookbooks and magazines, but the Rosh Hashanah menu was a reliable constant. I totally get it why lots of people feel protective of their holiday dinners. 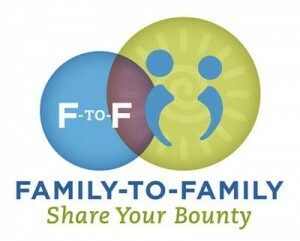 When it comes to big family meals – particularly ones centered around a holiday – tradition matters. The consistency of my mother’s Rosh Hashanah meal helped signal that, together, we had made it another rotation around the sun and were back together to celebrate the Jewish New Year and one another. But we are hosting a vegetarian family at our table. So instead of offering one or two veggie dishes along with brisket or roast chicken, I decided to go all in. That means, my “chicken soup” will be vegetarian. (My trick to flavorful meat free chicken soup is to add a sweet potato for golden color, lots of garlic and fresh dill, a touch of dehydrated onion powder for savoriness, and a generous amount of extra-virgin olive oil and salt to mimic the fat and flavor that usually comes from the chicken. It works!) The sides and salads will celebrate the ridiculous bounty that arrives on the cusp of fall. And for the main dish, I landed happily on the mushroom moussaka from Little Book of Jewish Feasts. The classic Greek eggplant and meat casserole might not seem like an obvious fit for Rosh Hashanah dinner. But Greece’s Jewish community loved moussaka as much as their neighbors, and found ways to get around the kosher prohibition of mixing milk and meat in the same dish or on the same table. In most cases, Jewish home cooks simply skipped the layer of béchamel that typically tops moussaka, or made a dairy-free version with fat, flour, and broth. In the recipe I developed for the Little Book, I took the opposite approach, swapping out ground lamb or beef for sautéed mushrooms that lend the tomato and eggplant base a rich texture and flavor while remaining completely vegetarian. During the decade I was a vegetarian myself, I obsessively sought out meat free main dishes that didn’t just feel like a glorified side dishes. This mushroom moussaka fits the bill. It is hearty, flavorful, and satisfying with a sultry layer of browned béchamel that makes a bold statement on the middle of the table. Whether you are hosting a vegetarian – or otherwise tradition bending – Rosh Hashanah dinner this year, or are simply in the mood for a special, late-summer-meets-early-autumn dinner, I offer this moussaka along with my wishes for sweetness ahead. Moussaka is warming, hearty, and easily transportable, making it the perfect dish for alfresco meals on Sukkot. 1. Make the base and sauce: Preheat the oven to 400°F, and generously grease two large rimmed baking sheets with about 3 Tbsp of olive oil each. Slice 3 of the eggplants into 1/2‑inch thick rounds. Arrange the eggplant slices in a single layer on the sheets, brush the tops generously with more oil, and season with salt and pepper. Bake, flipping the eggplant pieces once, until softened and lightly browned, 20 to 25 minutes. Remove from the oven and set aside. Lower the oven temperature to 350°F. 2. Meanwhile, chop the remaining eggplant into 1/2‑inch cubes. Heat the 1/4 cup [60 ml] of oil in a large sauté pan set over medium heat. Add the onions and a pinch of salt and cook, stirring occasionally, until soft and translucent, 5 to 7 minutes. Add the chopped eggplant and mushrooms, turn the heat to medium-high, and cook, stirring occasionally, until the vegetables are very tender and the liquid has cooked off, 10 to 15 minutes. Stir in the garlic, oregano, cinnamon, and allspice and cook until fragrant, about 1 minute. Stir in the crushed tomatoes, 1 tsp salt, and 1/2 tsp pepper. Turn the heat to medium and simmer until slightly thickened, 5 to 10 minutes. Taste and add more salt and pepper, if desired. 3. Make the béchamel: Melt the butter in a medium saucepan set over medium heat. Add the flour and whisk until fully combined, then slowly whisk in the milk. Simmer, whisking constantly, until the sauce thickens enough to coat the back of a spoon, 5 to 10 minutes. Whisk in about half of the Parmesan, 1 tsp salt, and a generous amount of pepper. In a separate small bowl, whisk the egg yolks until smooth. Whisking constantly, slowly drizzle about 1/2 cup [120 ml] of the hot béchamel into the yolks. Turn the heat under the saucepan to medium-low and slowly whisk the tempered egg mixture back into the béchamel. Remove from the heat. 4. 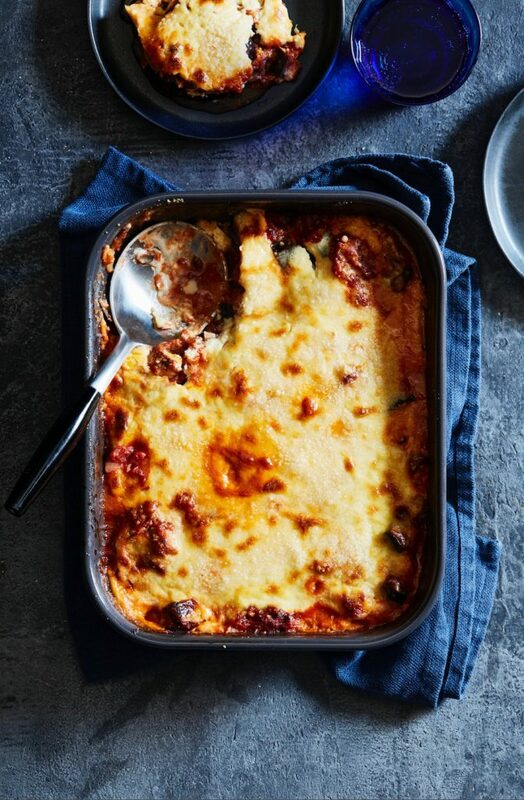 Assemble the moussaka: Grease the bottom of a 9-by-13‑in baking dish. Layer half of the eggplant slices in the bottom of the baking dish and cover with half of the sauce. Layer the remaining eggplant slices into the dish and cover with the remaining sauce. Evenly pour the béchamel over the top, smoothing with a rubber spatula. Sprinkle with the remaining Parmesan. 5. Bake until bubbling and golden brown on top, 20 to 25 minutes. Remove from the oven and let stand for 15 minutes before serving. Serve hot. Store leftovers, covered, in the fridge for up to 3 days. Reprinted from Little Book of Jewish Feasts by Leah Koenig with permission by Chronicle Books, 2018. Photos by Linda Pugliese. For more recipes and more Leah, follow her on instagram. Thanks so much for this amazing looking recipe – am always on the look out for different veg recipes. I’m fascinated by the idea of vegetarian “chicken” soup. Will you share that? Leah’s tomato-chickpea soup with spinach and bulgur with walnuts and pomegranate (absolutely incredible) were both on our Rosh Hashanah table! 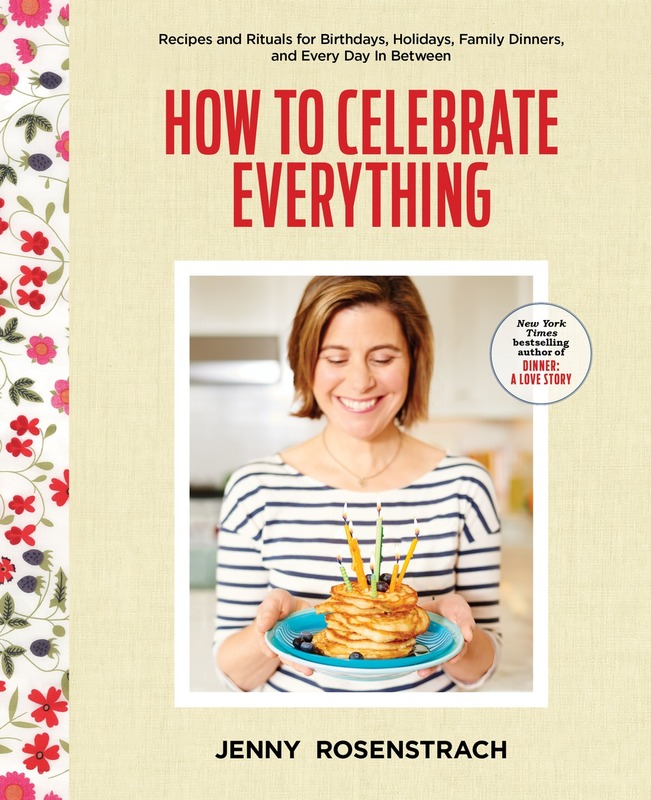 I love “Modern Jewish Cooking” and can’t wait to check out the new book. You just described my life! Thank you for this amazing-looking recipe, I cannot WAIT to try it. Don’t even think I’ll be able to wait for another holiday! Was the total for this supposed to be 1 lb, of eggplant or 4? I read the description as meaning 4 small eggplants, to total about 1 lb. When I made it, I clearly had way too little eggplant for the rest of the ingredients. Since I was partway through what that became quite clear, I soldiered on and made adjustments to salvage the casserole. I managed okay but had excess béchamel.